It was bad enough that we had this race queen figure of everyone’s favourite UMU! Sorry, I don’t know what came over me; everyone’s favourite Saber, Nero Claudius. And this unbearably-cute racing figure of original Saber. 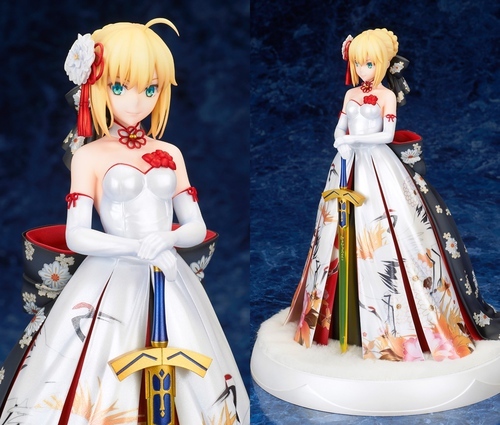 But this Saber fig that’s up for pre-order now may the most beautiful anime figure I’ve ever seen, ever, ever. The cranes on her dress are my favourite touch. I’m serious, someone please change the password on my PayPal account before I buy ten of these.